← Max Toy Mini Kaiju series arrive ! 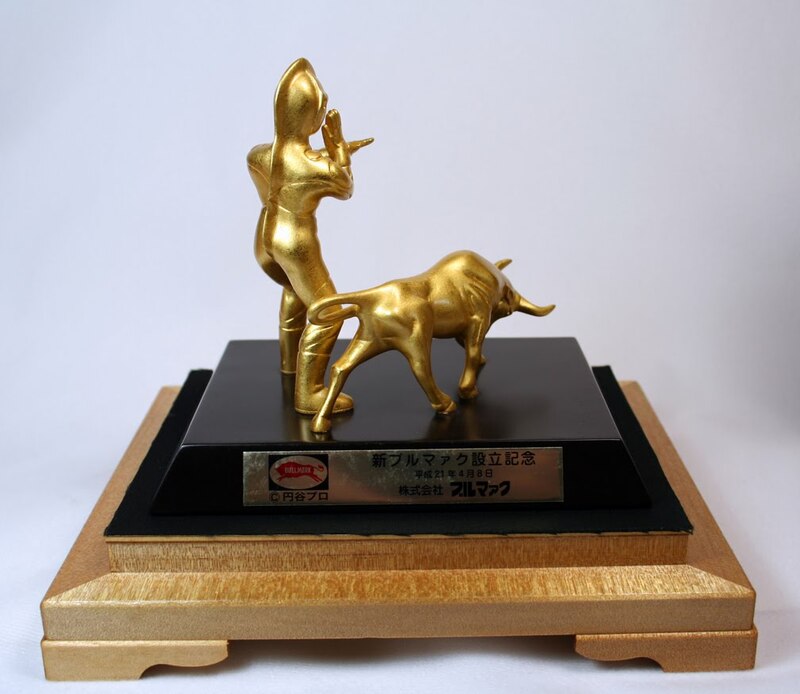 Bullmark Award reproduction statue WOW ! Every once in awhile I can still geek out when opening a box from Japan .. ya thats sounds kinda jaded, but in all honestly there’s not been a whole lot that gets me too excited these days .. 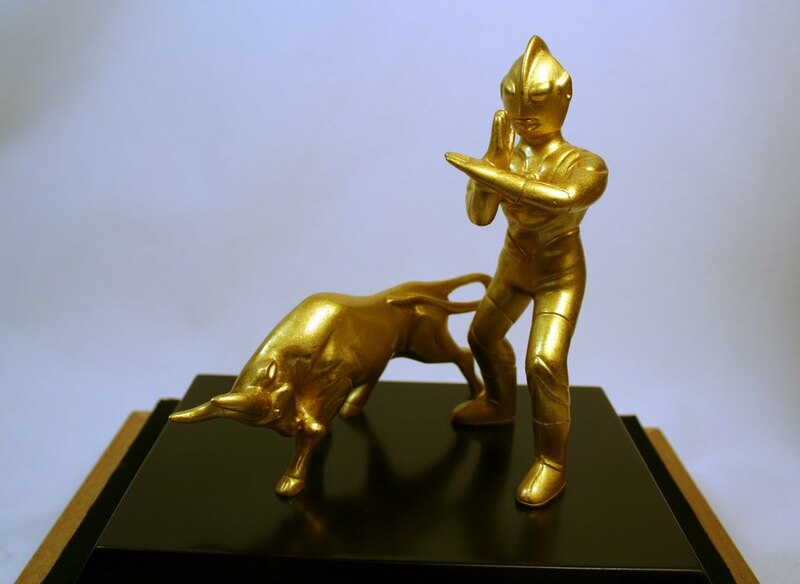 I was on the fence about ordering this statue a few months back .. it’s a replica of a statue/award given out to employees and associates of the now classic Japanese toy company, called Bullmark, back in the 70s. Any ways, I did order it despite a hefty price tag .. a casual collector would not have ordered this for sure ! All I can say now is Thank the Toy Gods I did not pass this up .. it now sits proudly in my collection. 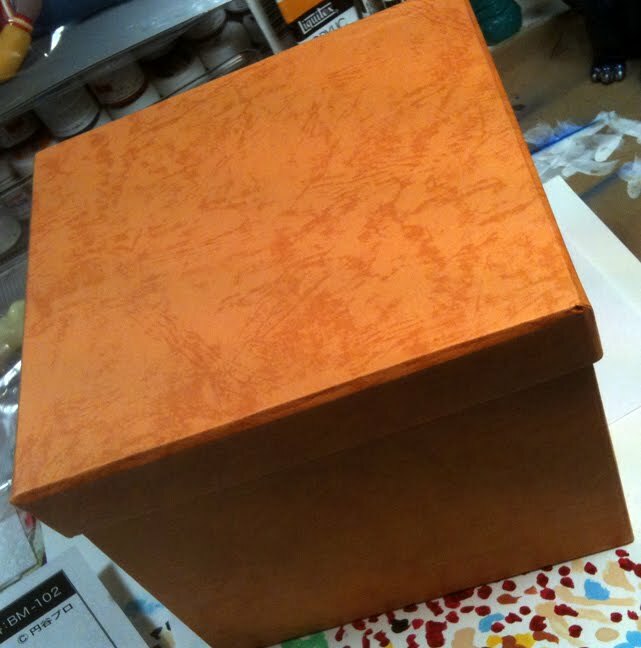 Within the final orange colored box lay the prize ! I felt like Indiana Jones as i ever so carefully pulled the statue from it’s foam bedding … unwrapping the plastic I held the statue up to the light .. I swear I heard an Angel sing 😉 Hands down this is no mere reproduction .. this is a piece of art ! Ok you guys out there rolling your eyes can go and discuss what is a toy and what is art .. to me this is a piece of art. 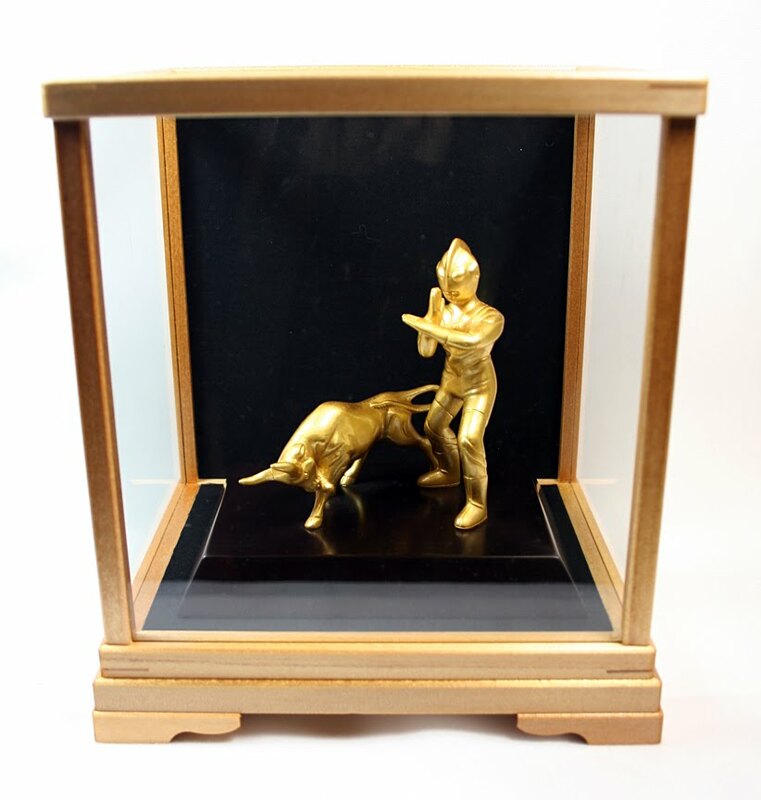 The custom glass and wooden case has a black background to further enhance the glorious Gold paint. I’ve seen an original award statue and as nice as those are this is an upgrade for sure. 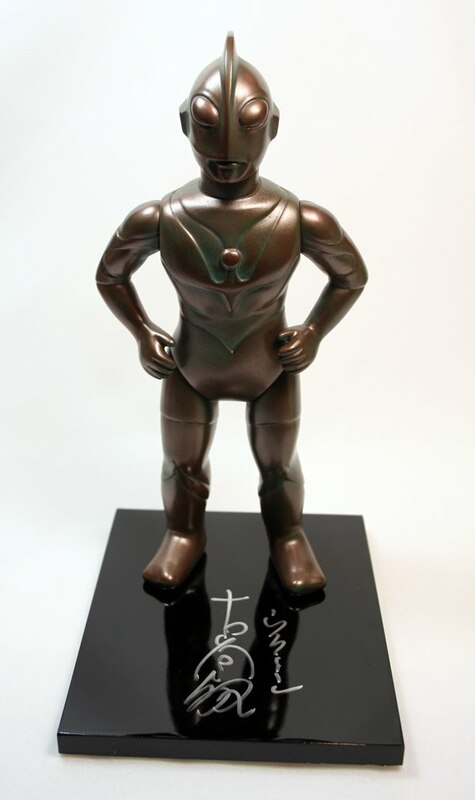 and to note, the figure on this statue is of Ultraman, but the original award featured an Ultraman Jack figure. and finally, I got this type A, Ultraman figure made by M1-Go .. with plaque signed by the suit actor inside the original Ultraman costume, Bin Furuya. Done up in a faux bronze style .. elegant and as we all know M1 is always at the top of their game. So was a good week for the Ultraman collection … it is for sure much harder to find vintage or newer items based on what i like ( classic Ultraman sries ) to add to my collection, but these two items are perfect examples of what gets my energy following again !